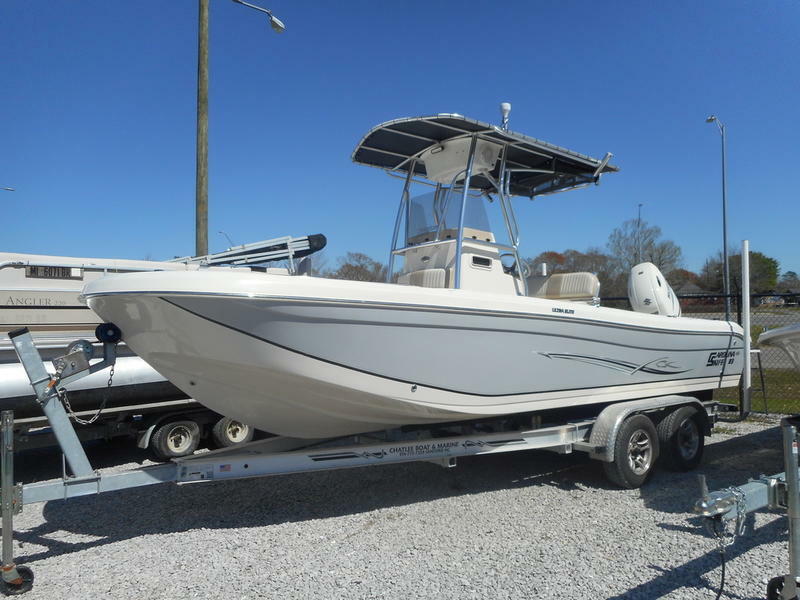 Come over and look at this gorgeous 20' offshore adventure boat. This a great island hopper and is very easy to handle with just 2 people. It has raw water wash down, T-top with and electronics box, JL Audio stereo w/4 speakers and blue tooth. You also have the reliability of owning a Yamaha motor. Tidewater boats come with a Limited Lifetime Structural Hull and 3 Year Bow To Stern Coverage.